The following is an excerpt from a declassified document released online by America’s Central Intelligence Agency (CIA) as part of a searchable database on its website Reading Room. Declassified documents were previously only available to the public at the National Archives in College Park, Maryland. In a memorandum titled 'Prospects for Pakistan' and published on May 30, 1975, the CIA discussed the likely scenario which could lead to a resurgence of political instability in Pakistan. A major talking point was the sudden assassination or the removal of then prime minister Zulfikar Ali Bhutto. Likely developments after Bhutto's demise or removal from power were predicted as a prolonged struggle for power in Islamabad, an upsurge in unrest in the frontier areas and a likely take over of the government by the armed forces. 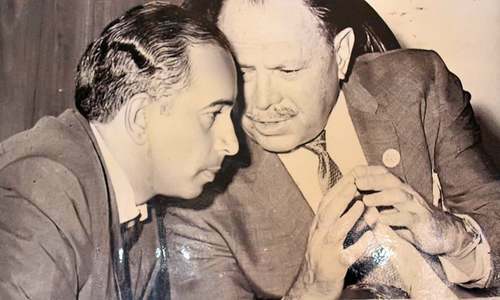 The CIA analysis gave reasons for Bhutto's possible removal and stated that "Bhutto's penchant for using repressive tactics against his opponents could backfire". "Strong opposition could flare up over a number of issues, and the armed forces could grow tired of helping Bhutto fight his political battles," added the CIA memo. The memorandum elaborated further on the political landscape and said no other politician in Pakistan enjoys such widespread support, but it also criticised Bhutto for not preparing a likely successor. "In such a situation, the armed forces might well decide to resume control over the government. 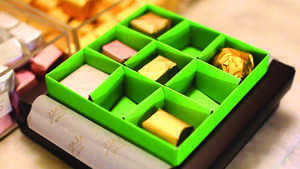 They would not necessarily find it easy, however, to restore stability." The memorandum, however, predicted rightly that the political climate in Pakistan will remain stable for the next two years till 1977. The military coup against Bhutto's government and his subsequent arrest by the army took place on July 5, 1977, a little over two years after the memo was drafted. "Internally, Pakistan probably will remain stable during the next two years." 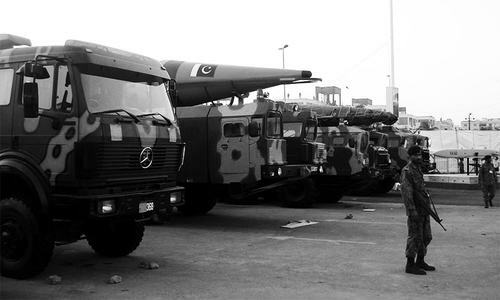 Regarding external threats faced by Pakistan during the time period mentioned, the CIA said that no major threat to Pakistan's security or integrity was foreseen. It shed light on likely Indian and Afghan courses of action, if internal pressure in those countries increased, and said the countries could adopt more aggressive policies towards Pakistan. The above mentioned document is part of a database of 930,000 previously-confidential files released by the CIA on January 17, 2017. The CIA had disseminated historical declassified documents to its CIA Records Search Tool (CREST) since 1999. To view Dawn.com's compilation of extracts from the declassified CIA documents, click here. PPP rubes are fond of blaming everyone under the sun for Bhutto's downfall, while the truth frolicks right under their noses all the time. Perhaps Bhutto was one of the blessed politician in Pakistan's history who was a keen observer of surrounding circumstances and change of events. He also could harness odds in to even when it came to deal in internal politics or relations with the US, China and India. History however could not bail out him in the matter of dismemberment of East Pakistan and fallout with Zia. 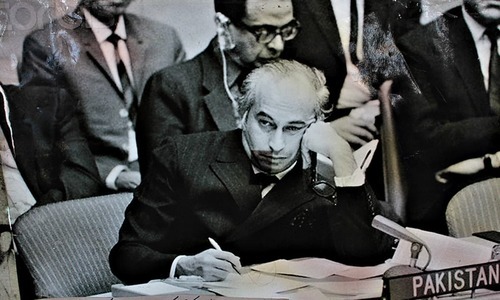 I have read former diplomat of India JN Dixit's memoir and he has admitted that it was very tough for India to deal with Bhutto due to his strong & proactive approach blended with his high level of understanding of India specific bilateral matter. He belonged to a different breed with modern thinking. Truth is deeper than that for the ultimate down fall Mr.Bhutto, if you some one is willing to scratch the surface deeper.Their is every hallmarks of deep involvement some sinister power struggle between powerful internal forces, with deep conspiracy by world's police man called U.S. People might not agree with this version but history will prove it in few next generations. Bhutto was a very astute politician who got the better of Ayub Khan and Yahya Khan. He was not willing to cede power to Mujibur Rehman so he preferred to dismember Pakistan so that he could become PM. His arrogance and overconfidence led to his downfall. When it comes to Bhutto, it is enough to read his one sentence which he wrote from his death cell in Rawalpindi: "I will not let history defeat me". He did not let history forget him, for better or for worst. Not only in Pakistan, but the world has not been able to ignore Bhutto or the New Pakistan which he created after 1971. Bhutto like many other Pakistani politicians tried to take shelter behind religious issues to protect him from downfall which was the result of his arrogance and self oriented politics. The same religious parties and religious whom he tried to please stood against him. This clearly proves that ever since, the America through its intelligence agencies remained the string-puller in politics of the subcontinent ever since. Are there really great differences in use and abuse of power, and a series of murders of political leaders, starting with Liaquat Ali Khan, the first Prime Minister of Pakistan within four years and ending with Benazir Bhutto just nine years ago.? Very sad. The first Pakistani military coup of Ayub Khan. 9.East Pakistani intellectuals crafted the Six Points which called for greater regional autonomy, free trade and economic independence. The Six Points were championed Sheikh Mujibur Rahman leading to his arrest by the government of President Field Marshal Ayub Khan on charges of treason. They knew 2 years in advance about his downfall so it is clear they planned it..